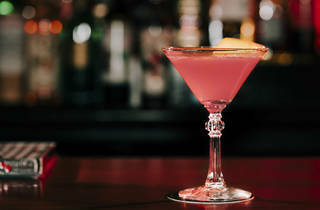 Jeffrey A. Zappone's snug, punk-tinged cocktail bar fills a void in River North and slings lip-smacking drinking food, to boot. Though I grew up in the Chicago suburbs, I didn’t regularly visit the city until my teens. 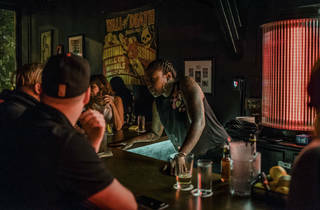 We’d pile into a ’97 Ford Taurus and drive in for punk-rock shows at the Fireside Bowl or Metro, always capping the night with an order of cheese fries or, years later, rounds of Jameson shots. These pilgrimages represented my first taste of adult freedom and the sweaty, buoyant camaraderie of an intimate live show. 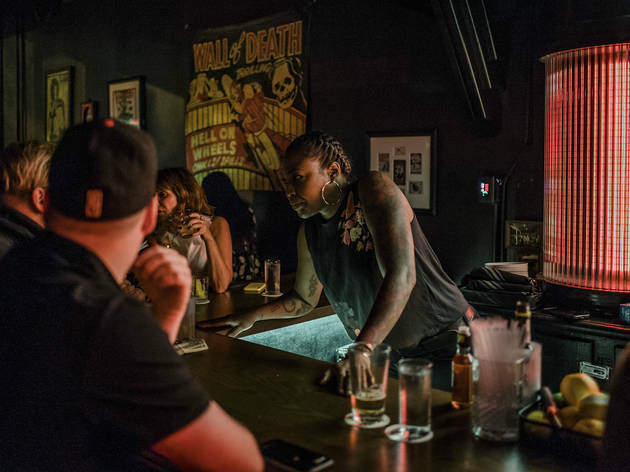 Entering the reddish glow of Good Measure—with its checkerboard floor and mahogany bar lined with revelers chatting over civilized decibels of the Ramones and the Vandals—brought back familiarly cozy, punk vibes. 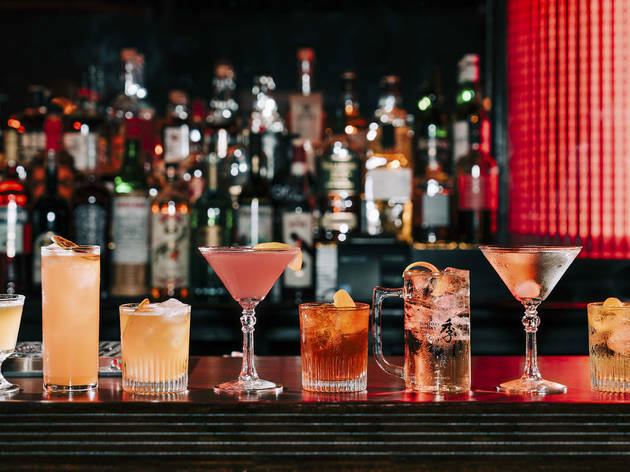 Toss in upgraded classic cocktails and superbly indulgent bar bites, and this promises to be a solid enough neighborhood joint to regularly lure me to River North. We arrived early enough on a Friday to claim one of just four high-backed red booths lining the wall opposite a long L-shaped bar. At least half of the patrons were sipping something in a glass mug, which I learned was the superfizzy Toki highball that the bar features for $6 between 4 and 6pm daily. 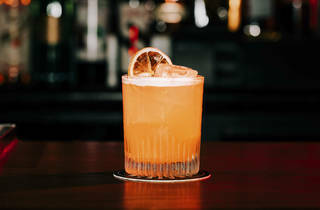 The refreshing cocktail is as bubbly as champagne thanks to a machine from Japanese whiskey brand Suntory Toki, which chills the liquid and pumps out perfectly rationed, fantastically carbonated servings. 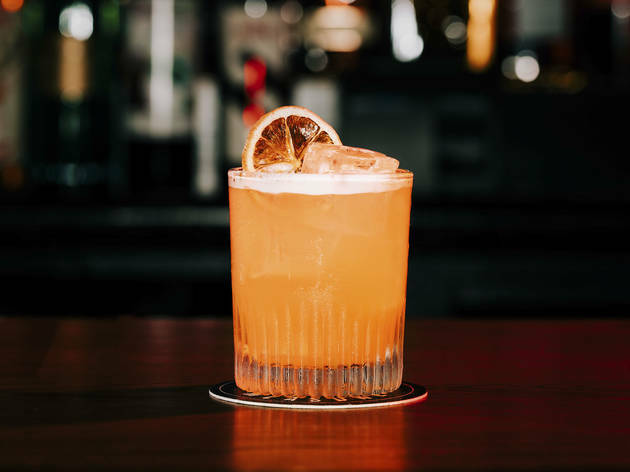 Craving something brown and stirred on a dreary Friday, I started instead with the Penicillin—a smoky ode to autumn with local Scotch, honey and ginger syrups and a spritz of peaty Ardbeg Scotch to drive home the fireplace aroma. Agave syrup lent a touch of sweetness to an otherwise earthy blend of reposado tequila, mezcal and chocolatey mole bitters in my date’s Oaxacan old fashioned. 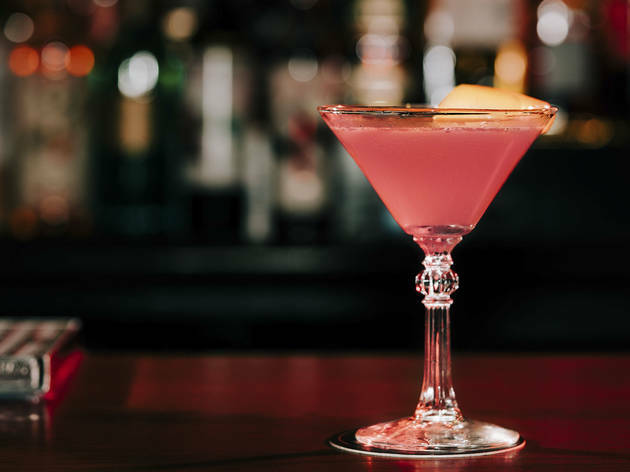 But perhaps the most unsuspecting delight in partner/bartender Sophia de Oliveira’s easygoing lineup is a vindicated cosmo that replaces canned cranberry juice with aronia berry liqueur, creating a perfectly balanced pink-hued sipper. 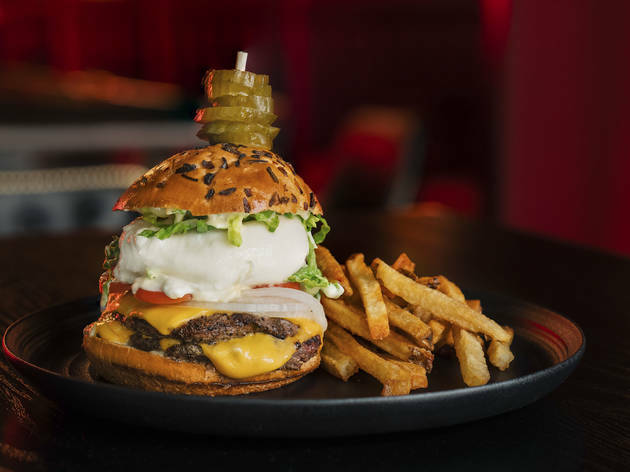 In the kitchen, chef Matt Troost oversees the food menu with the same bold attitude that gained him a loyal following at bygone Italianish spot Three Aces. 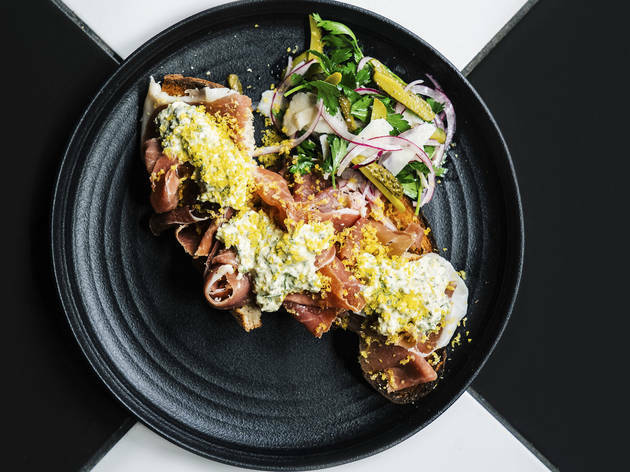 Toast arrived piled with dollops of truffle-scented sauce gribiche and ribbons of rosy prosciutto; a parsley-cornichon salad offered a pleasingly sharp assist. The punishing delight of craggy fried duck livers blanketed in searing Nashville hot spice blend was tempered just enough by a quick dunk in soothing cucumber ranch. In a refreshing take on salt-cod brandade, Troost doubled down on the fish’s mildly salinic funk with a few musty dabs of huitlacoche (corn fungus); sugary fresh corn kernels kept the cod-potato spread approachable, though my husband declared it dry for his taste. 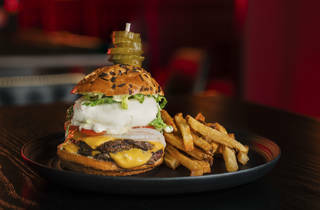 Cold-smoked American cheese and sweet roasted garlic aioli punctuated a deliciously typical griddled double cheeseburger that’s most distinguishable by the fact that you can top it with any “damn thing” on the menu—Troost’s comestible white flag following years of customers demanding bespoke burger toppings. In this customer’s opinion, the only add-on this delectable burger requires is a smear of jammy foie-cooked onions. “Where’s the Heinz?” my date lamented, dragging a crisp fry through thick, smoky house-made ketchup. Alas, much like iconic rock songs provide endless fodder for remixes and covers, so it goes with cheffy experiments in fancy ketchup. Nineties-punk nostalgia carried over well into the following afternoon, when my husband and I revived an old Operation Ivy album for a long drive to visit his parents in the 'burbs, where it all began. 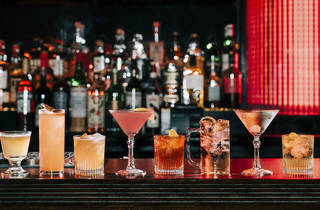 Atmosphere: A neighborhood cocktail joint in River North? 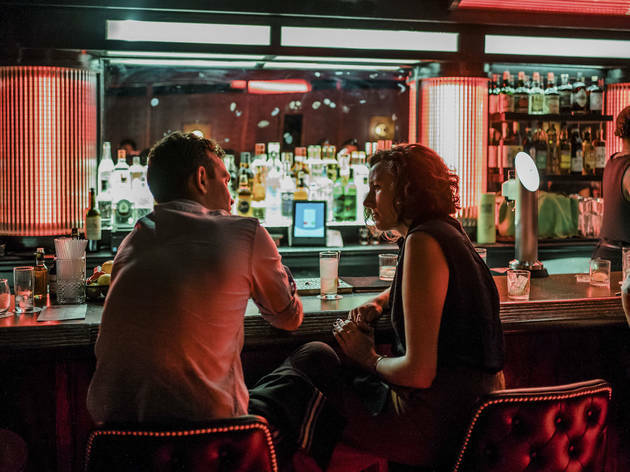 With an accessible stable of cocktails and inspired drinking fare, Good Measure may have cracked the code. 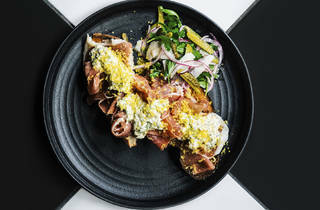 What to eat: It’s hard to go wrong with chef Matt Troost’s stick-to-your-ribs eats, particularly snacks like the suppli and fried duck livers. Charlatan lovers, take note: A daily pasta is forthcoming. 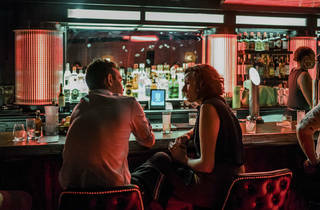 What to drink: Owner/bartender Sophia de Oliveira slings classic cocktails for regular people, like a bright and balanced cosmo and superfizzy Japanese whiskey highball. Where to sit: Come early if you want to snag an intimate booth, or belly up to the comfy, well-spaced bar for a Hamm’s on draught.